Get the Slow Wolf Announcer when Update 3.3 goes live! Awesomenauts 3.3: Rise of Galactron is launching later today, and alongside the new matchmaking system, the party interface, and many other changes, we’re also introducing a new announcer that you can grab for free by recruiting a friend, or bringing a former-Awesomenauts player back into the game! 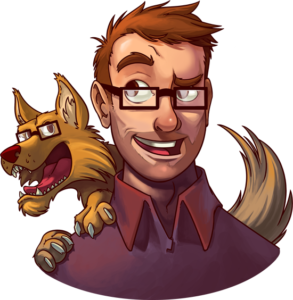 SlowWolf has been a prominent member of the Awesomenauts community for years and has been involved in many different Awesomenauts tournaments as a shoutcaster. He commentated the Alienware Awesome Cup tournament, was live on-stage during the BLE Masters, and has shoutcasted community tournaments including the recent ALWB.